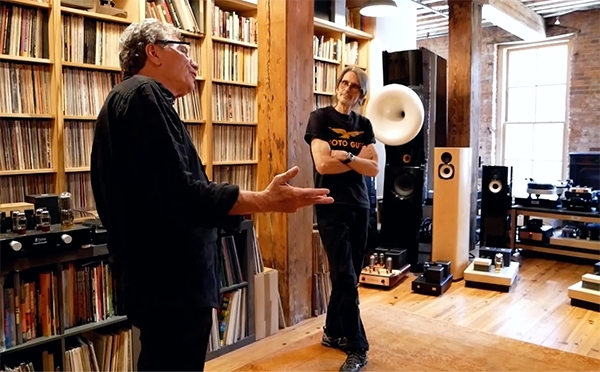 This video is about Jeffrey Catalano and his shop High Water Sound, located in Manhattan's South Street Seaport, right under the Brooklyn Bridge. Though it was my first time meeting Jeffrey, I had long been familiar with his nameoften associated with good sound at audio shows and a true appreciation for music. 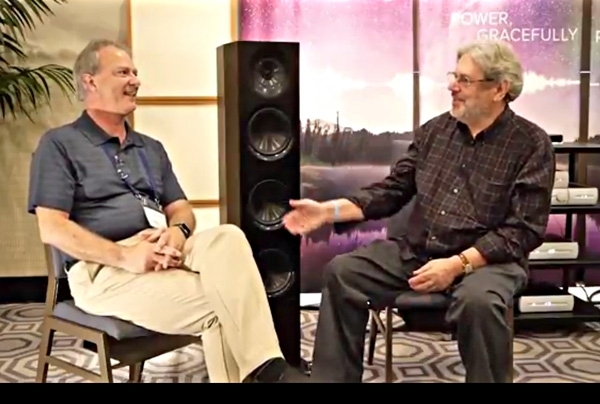 At the Los Angeles Audio Show, held June 24, John Atkinson spoke with Zu Audio's founder, owner, and chief engineer Sean Casey about the Zu Audio Druid (pictured), Sean's background and his "unconventional" approach, and historic speaker designs. And toward the end of the video, Sean Casey turns the tables on JA by interviewing him about the role of the audio reviewer! 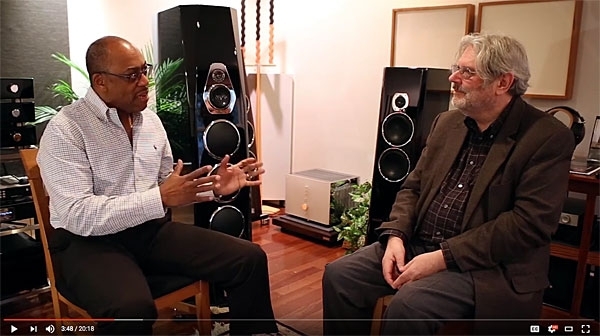 At the Los Angeles Audio Show, held June 24, John Atkinson spoke with Elac's Andrew Jones about speaker design, building affordable loudspeakers, and Elac's Adante AF-61 speaker, which made its debut at the show, driven by Audio Alchemy amplification. 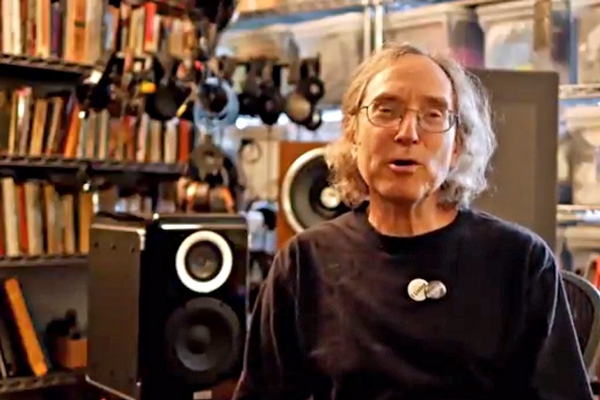 The Audiophiliac, Steve Guttenberg, is a long time industry heavyweight, a prolific audio journalist, and a wild "As We See It" contributor to Stereophile. 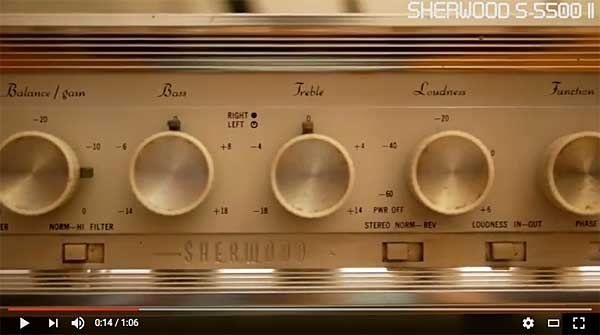 In this video, Steve shares his personal background and offers his perspective on a variety of audio related topics. 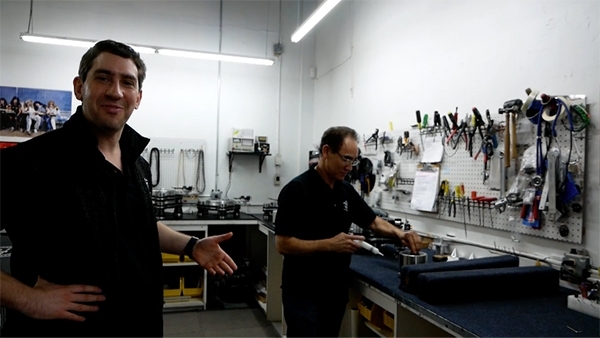 Last week, I embarked on a nearly three-hour public transportation trek from Queens to Cliffwood, NJ to take a tour of turntable and tonearm manufacturer VPI Industries, with Mat Weisfeld as my host. During the tour, I got to meet every member of the VPI family, learn about each step of the process, and get a firsthand look at a couple of unreleased products! With any large gathering of people who share a common passion, one is bound to encounter polarizing issues and the fiercely opinionated standing on either side. In the world, it's politics and religion. In our world, it's tubes vs solid-state, whether cables really matter or not, and, most recently . . . Master Quality Authenticated. Some say audiophiles have no sense of humor. One well-known writer for another magazine even lectured John Atkinson a while back that "there is no place for humor in audio!" 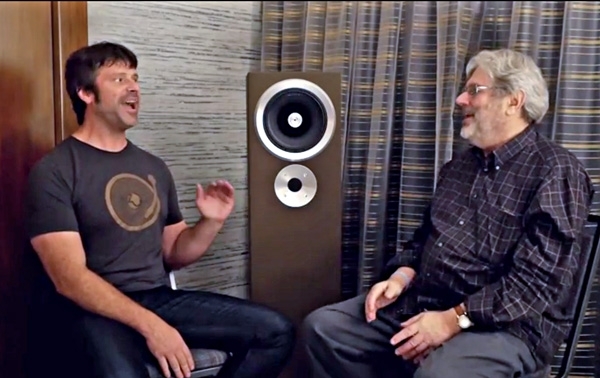 So here is audiophile humor at its best, brought to you by Stereophile writers Herb Reichert (left) and Steve Guttenberg (right). 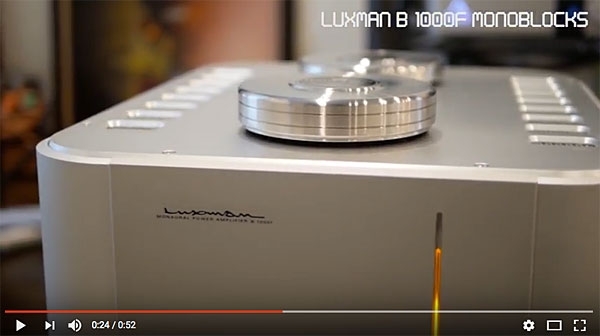 For this 1 Minute Audiophile Escape, we visited longstanding New York hi-fi shop Innovative Audio. This video features three (out of their many) systems readily available at the time of our visit. 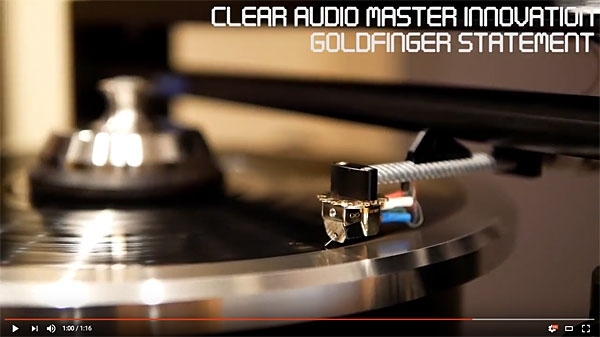 In this 1 Minute Audiophile Escape we visit my personal system. This past weekend, John Atkinson, Herb Reichert, and I drove down to Philadelphia to visit audio retailer Doug White of The Voice That Is. 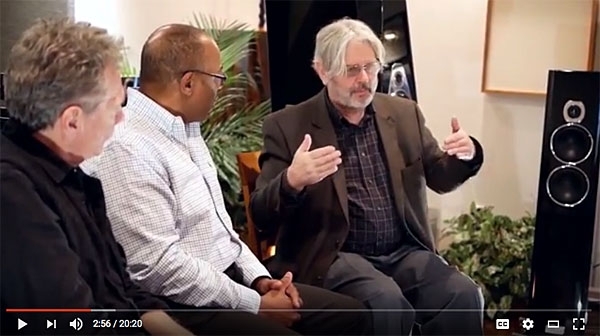 In this video, Doug and JA discuss the challenges of a rapidly changing internet based market, the differences between buying online versus buying from your local dealer, and much more. 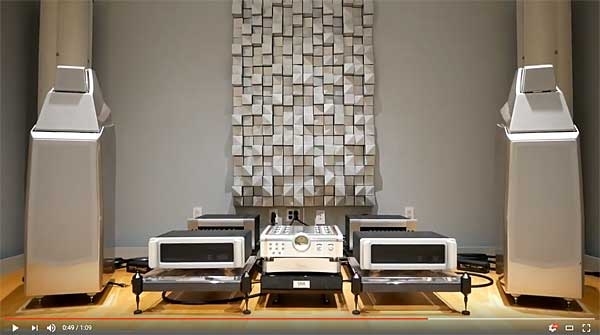 Last week, at Seattle dealer Definitive Audio's 12th Music Matters, there were six different systems being demonstrated. With the inevitable craziness of such a well-attended event, I wasn't able to get enough footage for each room to have its own standalone minute. I therefore compiled shots from each room to give you a visual overview. Last week at Seattle retailer Definitive Audio's 12th Music Matters, I got to watch one of Michael Fremer's legendary vinyl presentations. (If you have not witnessed Magic Mikey in actionhe will be reprising his dem at AXPONA in Aprilit is truly a must-see!) In this video, Mikey demonstrates the difference between record pressings by playing three different pressings of Nina Simone's debut album Little Girl Blue: the 1958 original; a Pure Pleasure reissue; and the Analogue Productions reissue. 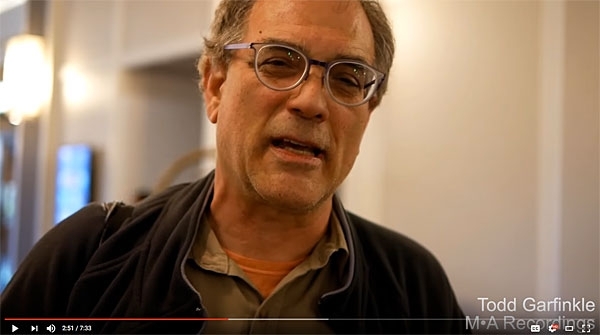 When we released the "Thoughts on CES 2017" video, we received an overwhelming amount of feedback from readers who were pleased to finally be able to associate faces to the writers they had long read and revered on paper. 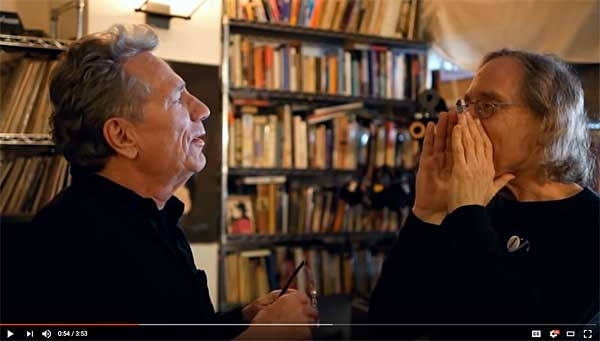 This video attempts to capture the essence of Stereophile writer and audio industry veteran Herb Reichertat least as much as is possible in a 10-minute, streamed video. The path of an audiophile is one of arduous sonic pursuit. Such a worthy cause is often accompanied by an unquenchable aesthetic thirst. 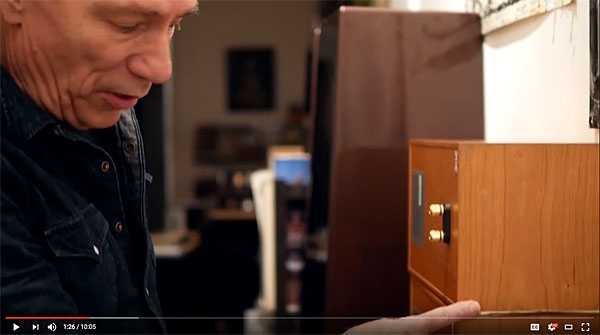 With this video we introduce the "1 Minute Audiophile Escape": the first of many in our series of experiential segments purely dedicated to audiophile eye candy.